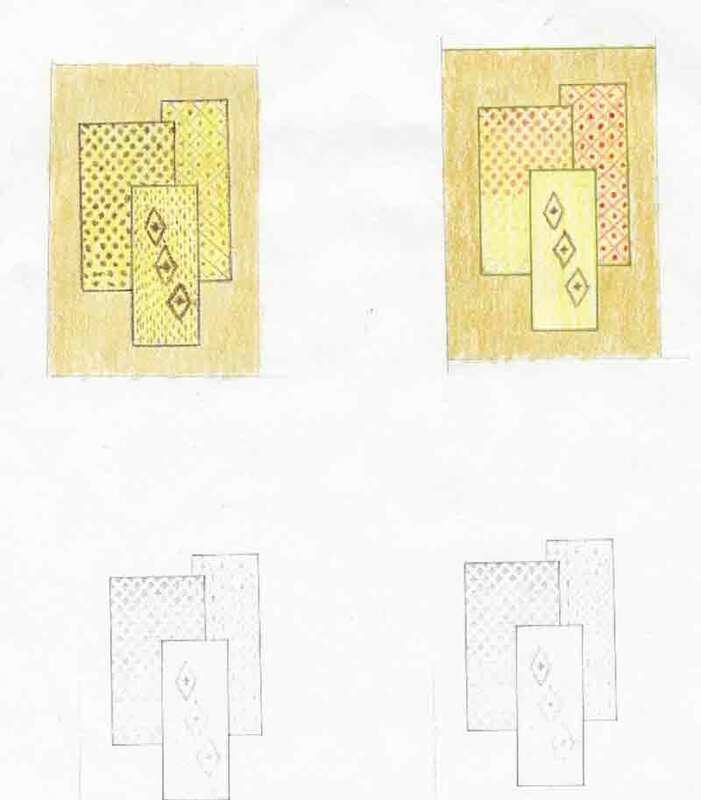 To create this goldwork study, I first researched patterns in weaving, baskets, pottery, and stitching, looking for ideas I might be able to translate into a design for stitching. 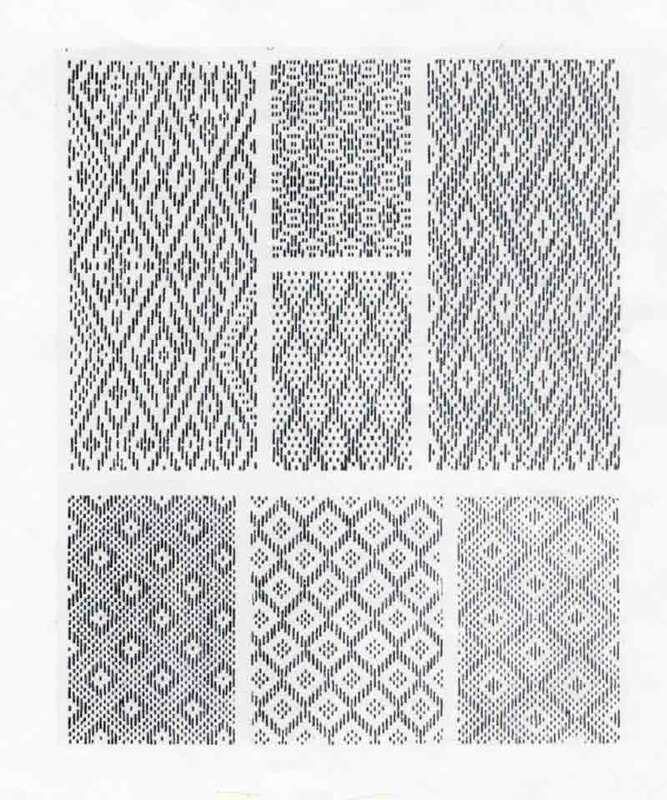 Some of my first attempts at creating patterns in pencil. 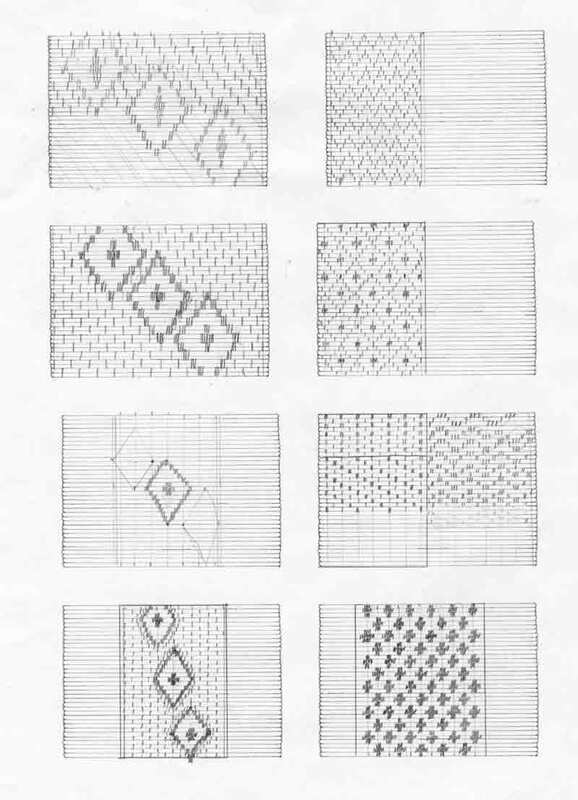 I drew the horizontal lines, then scanned and reduced them for these thumbnails. 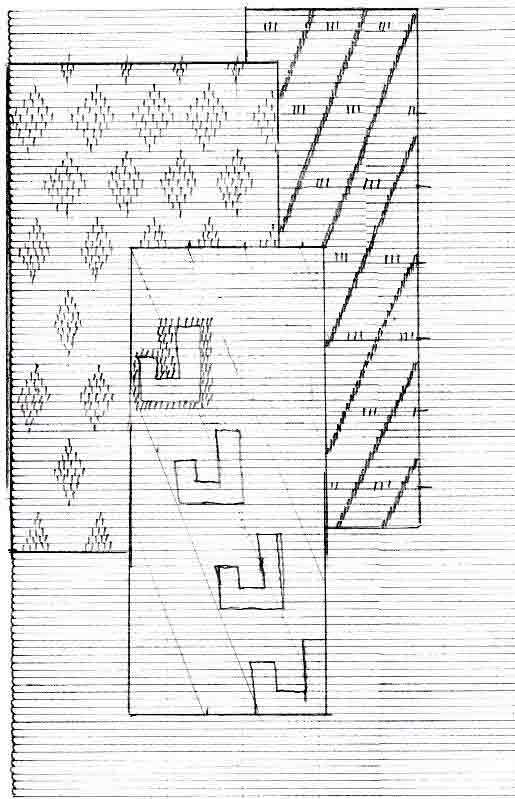 I drew the patterns on the scanned guidelines in pencil. The first design idea, again, drawn in pencil on the lined background I had created. Here with colored pencils I was trying out some different patterns in different colors and techniques . Trying out ideas for the final design, still in pencil. Initially, I planned to stitch this goldwork on “dirty” linen and so I used that fabric as a practice cloth. You can see how crude my first attempts were! I experimented with various thread, techniques, and patterns. You can see some guidelines that I didn’t use, too. The final design tried out in different colors in pencil on the background color I thought I wanted to use. 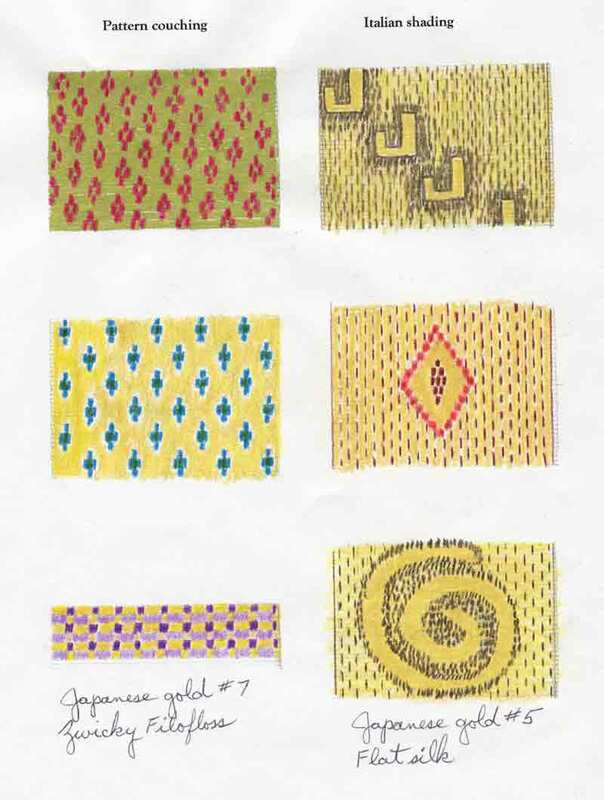 Dissatisfied with the linen fabric, both in texture and color, I tried out these thumbnails using gold as the background. Then I colored an old dinner napkin with watercolors to get the gold background I wanted. 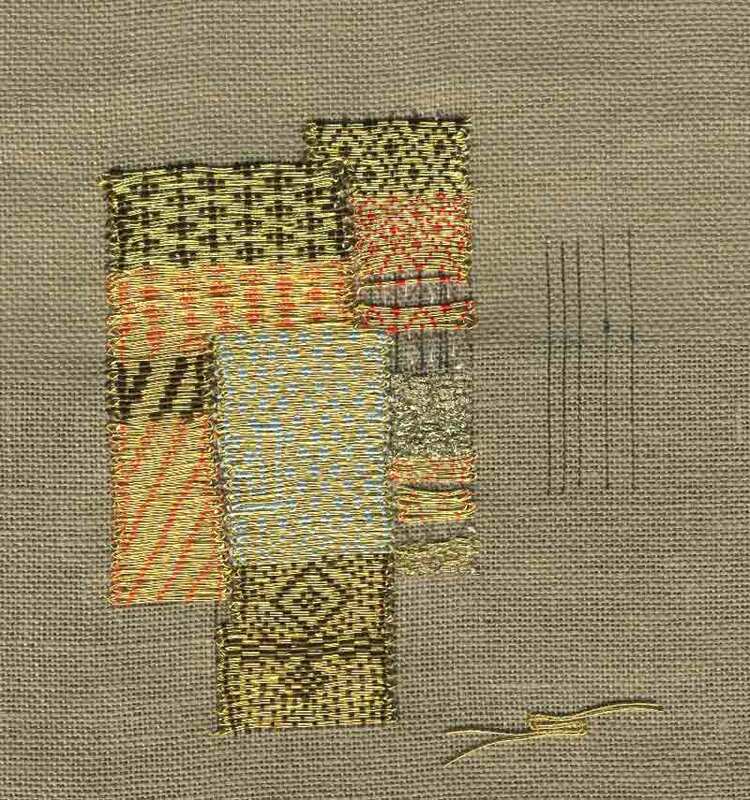 Silk and Metal Thread Embroidery. JoWynn, this study is very inspiring. And what patience you have! So many great ideas! 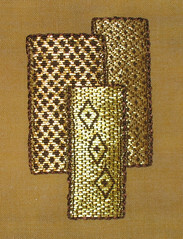 The goldwork sampler is terrific. Your patience in designing your work helps explain why it is so beautifully executed. Add to that your creativity, and it’s clear why you are a true artist. 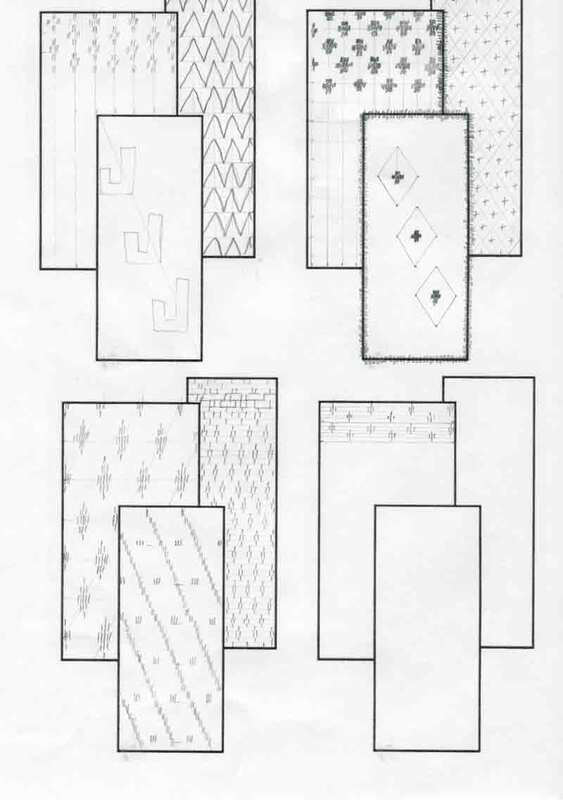 I only wish the books I have on fabric painting explained the varioius techniques in the same detail that you do for stitching. Oh, it’s really fun to see all your thought processes and careful planning. 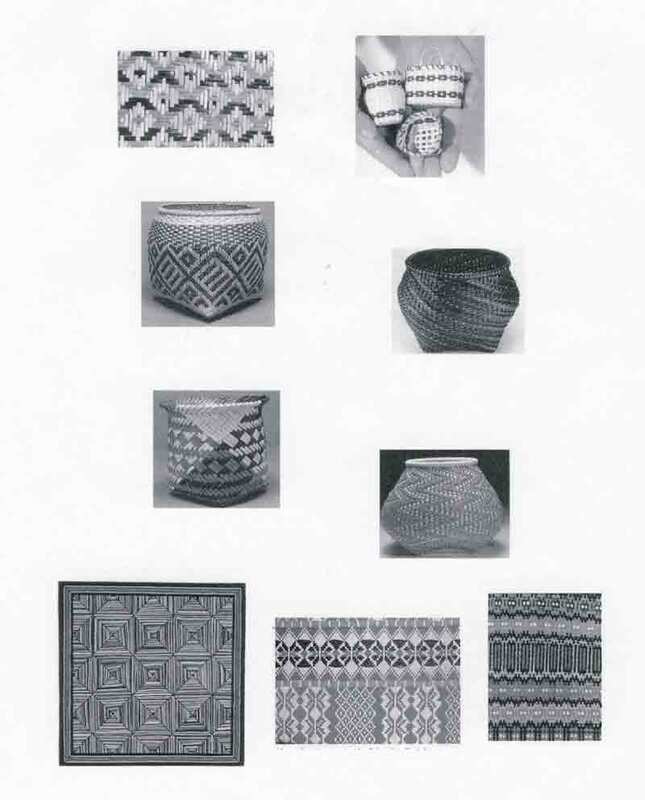 Pottery and basketry — you clever gal:-) Thanks for sharing this. The finished piece looked great, and following your process is a great inspiration for me! Your pictures really help me witn one of my current projects. Hey Jowynn. What a super study and a grat end result. Thank you for sharing it. WOW! Fantastic job, Jowynn! The end result is really splendid, and I love the process of development. Very Nice! gorgeous. hope its not sitting in a drawer somewhere! I’m in awe! The 3D effect is really interesting isn’t it? I think the light playing on your textures creates real depth, I think that’s why I love metal thread work so much. Thanks for showing your design process, too. I don’t think some people appreciate metal thread enough, and the thought that has to go into the design process, because it’s very hard to reverse embroider metal threads without shredding them and sometimes your fabric. Slow and steady for this technique ! Now I want to pull out my poor neglected metals and do some more stitching !! Hooroo, Christine in sunny Sydney Australia. Wow! Its gorgeous. 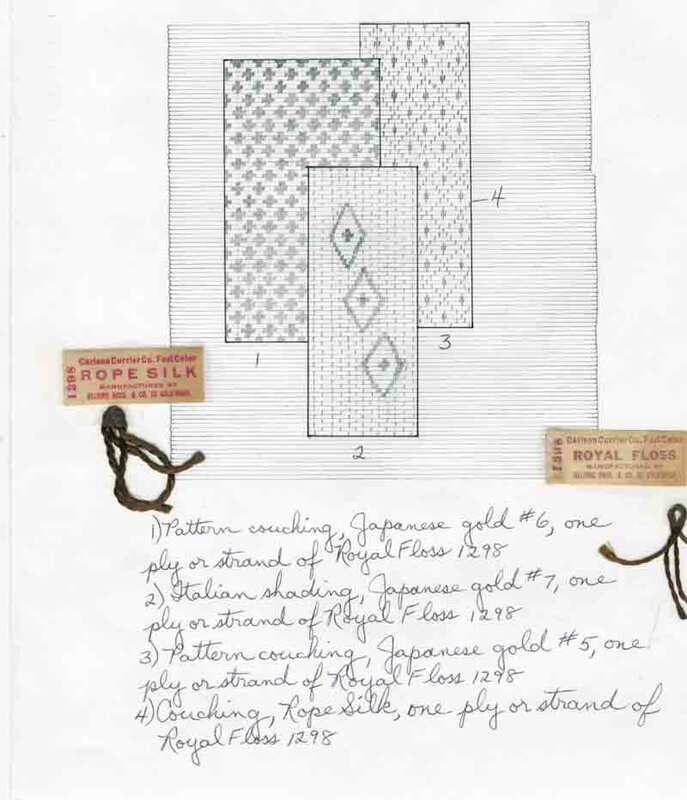 I never realized how much work is required for goldwork. 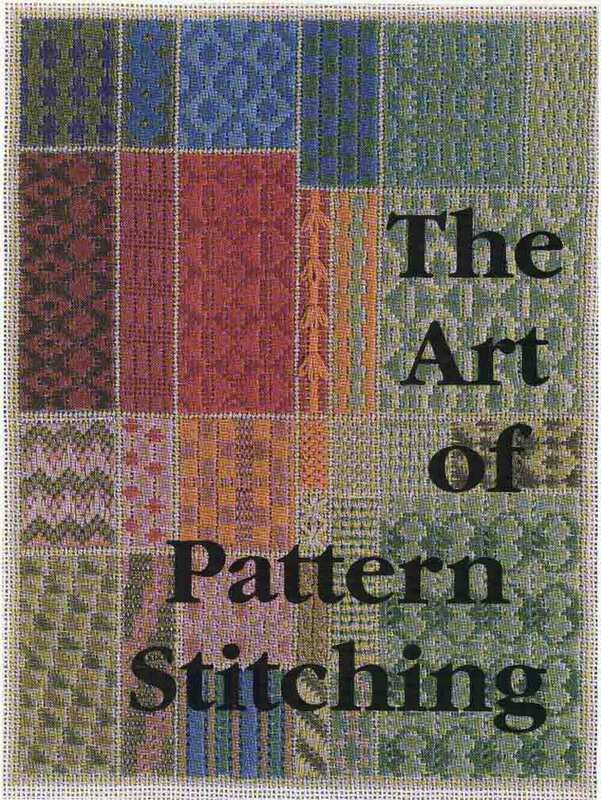 I was curious to take a look at the book whose cover you show, “The Art of Pattern Stitching.” I can’t find it on Amazon or WorldCat. Can you post its ISBN number? Wow, this is amazing – fantastic work!